Too Faced is another one of those brands with super cute packaging and lots of interesting products. But in the end, I think it's their staple items that really stand out - and that's saying something considering how many options there are out there for basic makeup products like primer, bronzer and shadow. 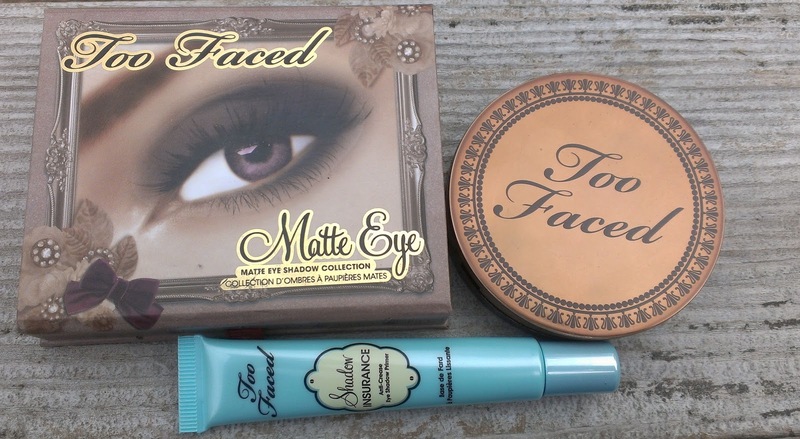 Too Faced Shadow Insurance (TFSI) has been my favorite eye shadow primer for years. While I like Urban Decay Primer Potion (UDPP), I've always been partial to TFSI. Firstly, because unlike UDPP, which originally came in that annoying genie bottle tube with a doe-foot applicator, it's always come in an easy to use squeeze tube. Thirdly, because it just works. My shadow doesn't crease or fade for a good 16 hours when I use TFSI. 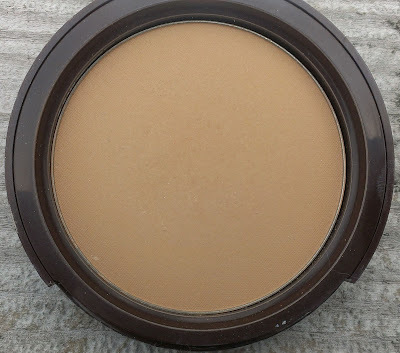 When you're a super pale girl like me, it's nearly impossible to find a bronzer that isn't too dark or orange. 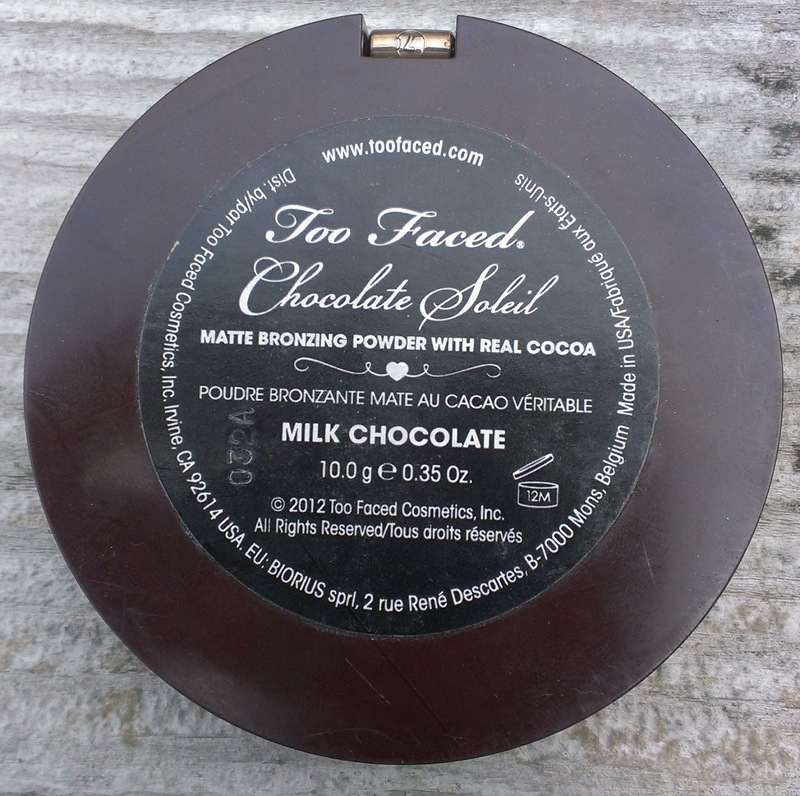 I'd pretty much sworn off all bronzers before I discovered Too Faced's Chocolate Soleil Bronzer about a year ago. The original, which I believe is known just as Chocolate, came in Too Faced's holiday palette last year, and while I always had to use an extremely light hand because it's pretty dark, I was surprised to find that it actually worked with skin tone because it didn't have a trace of orange in it. 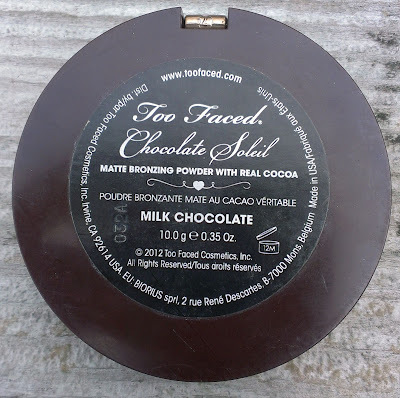 When I heard Too Faced was coming out with a lighter version of the Chocolate Soleil Bronzer this past spring, I was beyond excited - and Milk Chocolate is all the wonderful things that the original is, i.e. 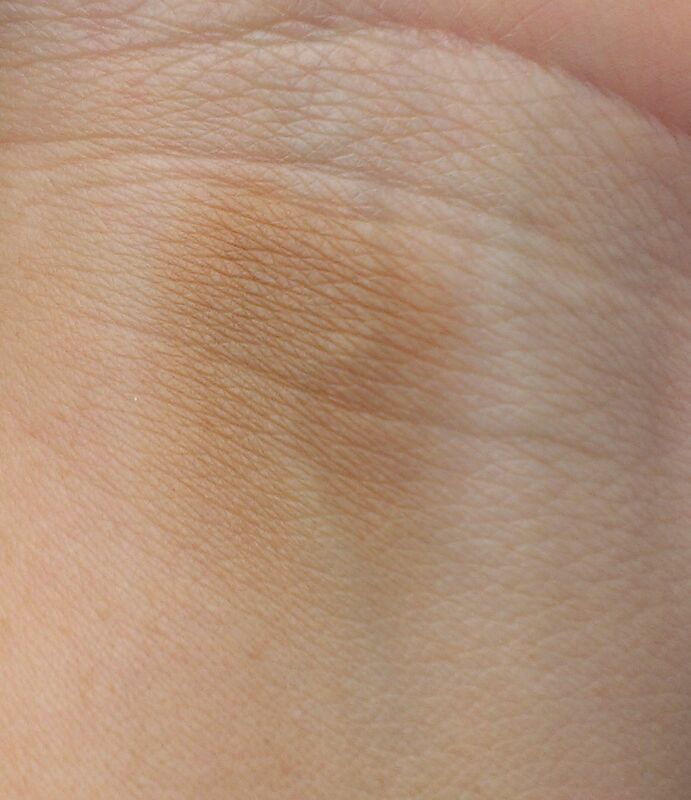 matte, easy to blend, without any orange undertones, but lighter. It is a dream come true for ultra fair folks everywhere. Because honestly, a tiny bit of bronzer in the right spots can do wonders for a pale complexion. Oh, and I almost forgot to mention the Chocolate Soleil Bronzer's delicious scent - just like a steaming cup of hot chocolate ... or a yummy chocolate cupcake. So good! I'm a big fan of Too Faced's eye shadows, so I really could have gone with any of their shadow collections - the Naked, Romantic and Natural at Night are some of my other favorites - but I really feel like when a brand masters a matte formulation, they deserve some serious credit since it seems nearly impossible to do. So many matte formulas I've tried are chalky, sheer and/or impossible to blend. The Too Faced Matte Eye Collection is like matte shadow nirvana. All of the shadows in the palette are smooth, creamy and oh-so easy to blend. While I often create looks using just this collection, I feel like the palette is the perfect supplement to whatever shimmery shadows or palettes you might already have in your collection. The darker shades are ideal crease or outer corner colors, while the mid tone shades are perfect for the lid or as a transition color. 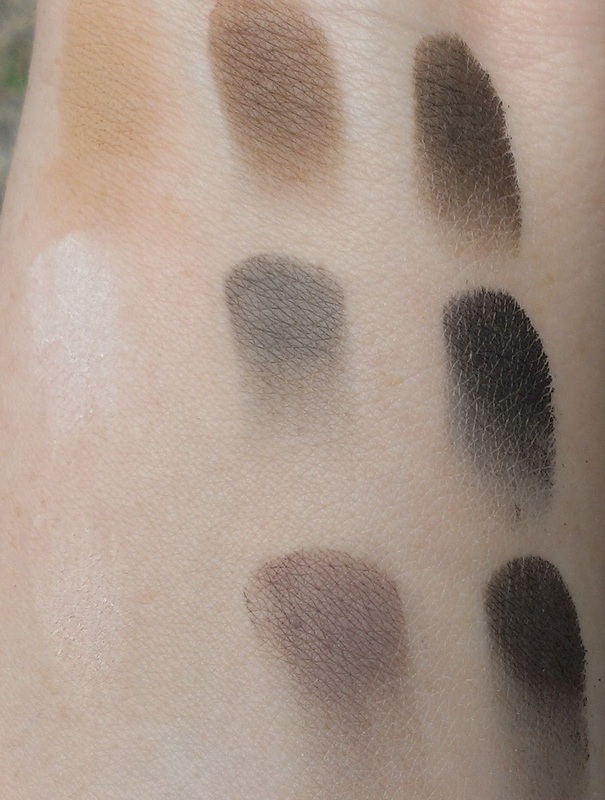 And the two lightest shadows are some of the best brow bone highlight shades you'll ever find. 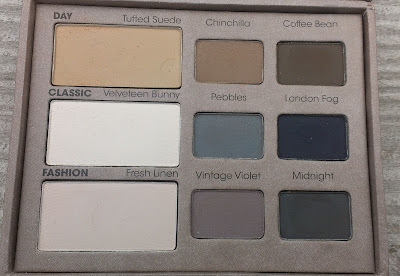 Considering how good these matte shadows are, I feel like this palette is a steal at $36 - I mean, you'll probably find a way to use it every day so you can definitely get your money's worth. 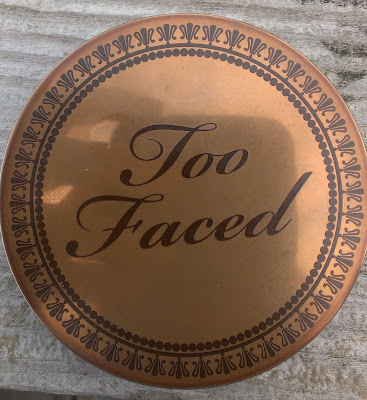 Have you tried Too Faced? What are your favorite products? I really want to try the bronzer!! These all look amazing. As always, super jealous of your makeup collection! This bronzer is seriously a god send if you've got fair to light skin. And the smell! So delicious, I almost can't stand it. I've heard about that bronzer! Everybody loves how it smells! Anyway... I really like your blog! The smell is amazing! I swear, it always makes me crave a chocolate cupcake (at least, that's my excuse when I can't stick to my diet. :P). It's definitely light, though, so if you have darker skin, you might want to look at the original Chocolate Soleil Bronzer. It's darker - but not super dark.